There are at least two musicians using the name Natty: 1) Fresh from supporting Kate Nash and Adele on tour and following the release of the highly acclaimed ?The Mixtape', Natty returns with his debut single ?Cold Town', an upbeat ska tinged pop track with a very candid meaning. Hailing from North London Natty grew up surrounded by an eclectic mix of sounds from Neil Young to Marvin Gaye and it was while working in Sphere Studios in Battersea that he first discovered his talent. 1) Fresh from supporting Kate Nash and Adele on tour and following the release of the highly acclaimed ?The Mixtape', Natty returns with his debut single ?Cold Town', an upbeat ska tinged pop track with a very candid meaning. Hailing from North London Natty grew up surrounded by an eclectic mix of sounds from Neil Young to Marvin Gaye and it was while working in Sphere Studios in Battersea that he first discovered his talent. By day he was engineering for some of the biggest names in the indie music scene and by night this gave him the inspiration to nurture his own developing talent. Soon he garnered a devout following from his open mic sessions and Vibes and Pressure nights which have seen everyone from the Get Cape Wear Cape Fly, to Statik and Mr Hudson and the Library perform. 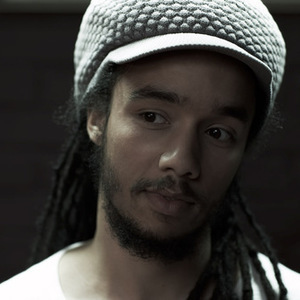 The success of his debut double A-side ?Badmind/Camden Rox' captivated the well deserved attention from music bible NME who featured him on their Love Music / Hate Racism CD alongside Hard-Fi, Babyshambles, MIA, Bloc Party, Lethal Bizzle and many more. Atlantic Records release ?Cold Town' on 28th April, taken from Natty's forthcoming album due for release in June 2008. A gifted musician, poet and lyricist, Natty's soulful roots, acoustic guitar and references to dance culture make him an artist not to be missed. 2) Natty is Nathaniel Adams, a chiptune musician from New York City who uses LSDJ, Piggy Tracker, and other programs to create music. He has released EPs with UK's Calmdownkidder netlabel and Chicago's HandHeldHeroes netlabel. He's not as famous as the "Natty" above, but he has been called that since he was born.